Srinagar: Doctors Association Kashmir (DAK) on Sunday urged health authorities in Kashmir to provide free swine flu vaccine to high-risk groups like elderly, children younger than 5 years of age, pregnant women and persons with medical conditions. “Free vaccination will increase vaccine uptake that would protect these vulnerable individuals from dying,” said DAK President and flu expert Dr Nisar ul Hassan said. The DAK President said while flu vaccination is recommended for all, it is especially important for high-risk groups who are prone to complications, hospitalization and even death. He said most of our population is unvaccinated and the cost is the barrier. “One flu vaccine costs Rs 1400. 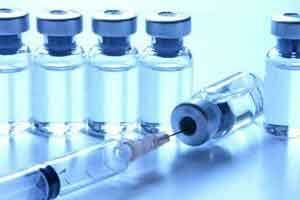 The high cost of vaccine keeps them out of reach for people,” he said. Dr Hassan said unprotected individuals not only risk themselves, but they put the health of the whole community at risk. He cautioned swine flu virus has undergone a change and it is likely to infect more people. Dr Hassan said this year’s vaccine has been updated to protect against the mutated swine flu strain. “For this flu season, the quadrivalent vaccine containing four flu virus strains (two A subtypes and two B subtypes – H1N1 and H3N2, and Victoria and Yamagata respectively) is recommended,” he informed. He said vaccination is the best way to protect you and people around you from getting flu. “Ideally, people should get the vaccine by the end of October. However, getting vaccinated later can still be beneficial and vaccination should continue to be offered throughout the flu season even into January or later,” he advised.